1. 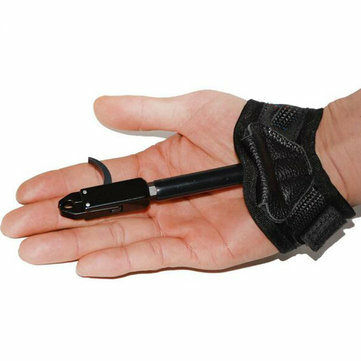 Adjustable strap, nice spare or starter release for bow hunting or target shooting. 3. Buckle wrist strap Fits youth and adult. 4. The smoothest, sensitive releases. 5. The buckle strap fits and just feels right from the first minute you strap it on. 6. Arrow will be fitted well and secures easily. 7. It works great and strong so don't have to worry about broken or something. 8. Always have an arrow nocked and pointed in a safe direction when pulling the bowstring back. 9. The trigger swivel is a nice feature as it keeps the release lined up properly. 10. Adjustable Hook & Loop Strap Assembly, Head Rotates 360 Degrees, for the right hand and left hand.